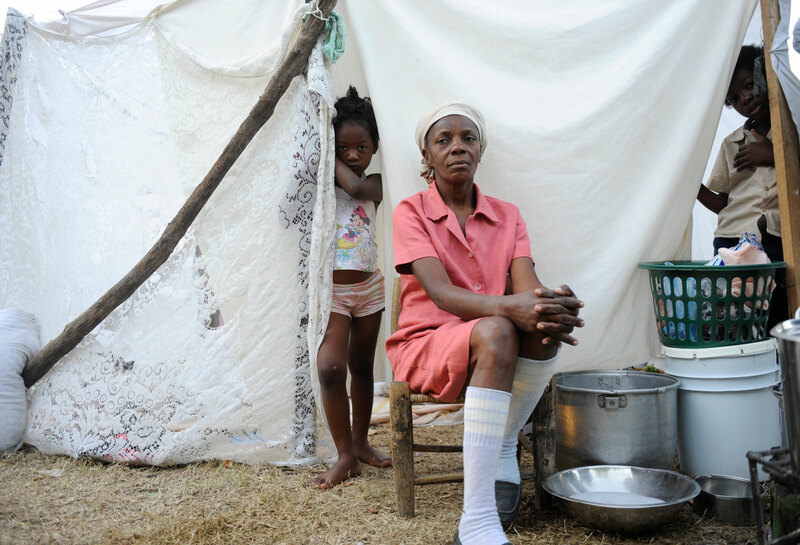 After the quake: Haiti's recovery. (1 of 12) Mariedette Dondoin sits at the edge of a refugee camp on the grounds of St. Louis Catholic School Thursday as her children peak out from their tent. The school grounds became a makeshift camp shortly after the earthquake, with over 1000 people creating homes out of whatever cloth and supports they could find.